Tribulus Terrestris is an herbal medication known to possess a high medicinal value. It helps in the treatment of oligozoospermia. It is also used in the preparation of herbal medications that are used to treat diseases affecting the heart and kidneys. It is a natural cardioprotective agent that helps in the treatment and prevention of cardiac disorders. It can also be used to treat infective diseases. It helps in managing psychosomatic disorders like hypertension by reducing anxiety. Tribulus Terrestris acts as an adaptogen and reduces the effect of stress on the health of the patient. Tribulus Terrestris contains compounds having a high medicinal value such as saponins, glycosides, flavonoids, alkaloids, and tannins. (1) The composition and the content of saponins vary among the different geographic regions where this plant is cultivated. The saponins of neotigogenin, tigogenin, gitogenin, neogitogenin, neohecogenin, hecogenin, diosgenin, ruscogenin, sarsasapogenin, and chlorogenin, types are found in this plant. The four sulfated saponins of diosgenin and tigogenin type can also be isolated from Tribulus Terrestris. It is also rich in Polysaccharides and Sterols like sitosterol, and campesterol. It provides a rich source of flavonoids like kaempferol, quercetin, kaempferol, and glycosides and fatty acids like palmitic, oleic, stearic, and linoleic acid. Tribulus Terrestris is most commonly used for the treatment of Oligozoospermia. It has been found to increase the sperm count. The use of this herb is also beneficial in the management of diseases affecting the heart, and kidneys. It can also be used to prevent infections. Tribulus Terrestris can be used in the treatment of hypertension. It can help to control the blood pressure. It produces an antihypertensive effect and prevents the rise in the blood pressure. It can also be used to reduce the risk of complications caused due to hypertension such as myocardial infarction and cerebrovascular stroke. How Does Tribulus Terrestris Work in Hypertension? Tribulus Terrestris helps to reduce blood pressure by acting as a natural ACE (Angiotensin-converting enzyme) inhibitor. Angiotensin is a chemical that is produced in the body naturally. It affects the functions of the cardiovascular system by causing narrowing of the blood vessels. The narrowing leads to a rise in the blood pressure. Angiotensin is also responsible for triggering the action of a hormone that causes the kidneys to retain more water. This results in an excessive retention of fluids in the body leading to a rise in the blood pressure. Tribulus Terrestris helps to lower the blood pressure by blocking the production angiotensin. It also causes relaxation of the blood vessels thus making it easier for the blood to flow through. It prevents the water retention by the kidneys and thus, lowers the blood pressure. Tribulus Terrestris also works by acting as an adaptogen. Mental stress and anxieties are the common causes of hypertension. Stress can result in the release of hormones that cause narrowing of the arteries. As a result, the blood pressure rises because the blood has to flow through the arteries against a greater resistance. Tribulus Terrestris helps to prevent these effects of stress by producing an adaptogenic effect. It reduces anxiety and mental stress and controls hypertension. The antihypertensive effect of Tribulus Terrestris was evaluated in research. The study was focused on proving the action of this herb on the production of angiotensin in the body. The ACE inhibitory mechanism of Tribulus Terrestris in the hypertensive rats was assessed through the measurement of local and circulatory ACE activity in the aorta, kidney, heart, and the lungs. The ACE effect was determined using the HPLC method (High-Performance Liquid Chromatography) and the changes in the blood pressure were monitored by the tail-cuff method. It was found that the systolic blood pressure was significantly lowered in the Tribulus Terrestris-fed hypertensive rats. The ACE inhibitory activity in all the tissues of the rats including the aorta, kidney, heart, and the lungs were significantly higher in these rats compared to the same parameters in the control group of rats. The diuretic action of this herb was proved in a research. The diuretic properties of Tribulus Terrestris are attributed to the high amount of essential oil and nitrates present in its leaves, and fruits. The study was focused on evaluating the action of Tribulus Terrestris in regulating the excretion of water from the body. It showed that the aqueous extract of this herb prepared from its leaves and fruit elicited a strong diuretic effect that was comparable to the effect produced by the commonly used diuretic medication, Furosemide. The use of Tribulus Terrestris can be beneficial in the management of Oligozoospermia. It can help to treat this condition in a safe and effective way. How Does Tribulus Terrestris Work in Oligozoospermia? Tribulus Terrestris helps to treat Oligozoospermia by regulating the production of male hormone, testosterone. Several clinical studies have confirmed the medicinal effect of Tribulus Terrestris in the management of Oligozoospermia. A randomized, double-blind, placebo-controlled study was designed to evaluate the effect of this herb in the management of Oligozoospermia. The study involved the administration of the granules of this herb to the men between the age group of 21 and 50 years who were suffering from Oligozoospermia. The herb was administered for 60 days. Tribulus Terrestris is commonly used in the treatment of renal calculi. It can provide relief from the symptoms of kidney stones such as severe pain the abdomen, difficulty in passing urine, and blood in urine. This herb has been found to be beneficial in the cases of renal calculi caused due to the abnormality related to the metabolism of uric acid. Patients suffering from these abnormalities tend to develop renal stones repeatedly due to the formation of uric acid crystals that get deposited in the urinary system and cause severe pain. Tribulus Terrestris can help in reducing the frequency of the attacks of renal calculi in such cases. How Does Tribulus Terrestris Work in Renal Calculi? Tribulus Terrestris helps to treat renal calculi by exerting a strong diuretic action. It acts as an anti-spasmodic agent and causes relaxation of the muscles in the urinary tract. This helps to relieve the abdominal pain that occurs when the stone tries to pass through the narrow passages of the urinary tract. Tribulus Terrestris also promotes the disintegration of the kidney stones. This helps to break down a larger stone into smaller particles, which can be easily expelled from the body via urination. It also regulates the balance of crystalloid substances and minerals by modifying the metabolic processing in the body. It promotes the excretion of substances such as uric acid that can otherwise accumulate in the body tissues like the kidneys and joints in the form of stones and crystals. This helps to prevent the recurrent attacks of kidney stones. Tribulus Terrestris also produces an antibacterial action. This helps to prevent infections in the urinary tract, which is a common complication caused due to renal stones. It also acts as an anti-inflammatory agent and prevents pain and damage to the urinary tract caused due to the stone. Tribulus Terrestris is known to possess strong antibacterial properties. It can be used to treat infections of the skin, respiratory system, oral cavity, and the urinary system. How Does Tribulus Terrestris Work in Treating Infections? 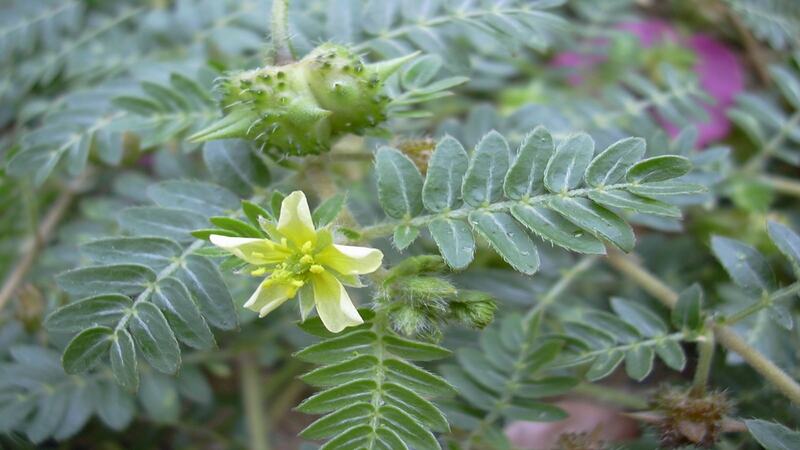 Tribulus Terrestris helps to treat infective disorders by producing an antibacterial action. It eliminates the bacteria and provides relief from the symptoms caused due to the infections. The antibacterial activity of Tribulus Terrestris was assessed during a study. The synergistic effect of this plant with Glycyrrhiza Glabra and Capsella bursa-pastoris against oral pathogens was also evaluated. In this study, the antimicrobial properties of the ethanol extracts of Tribulus Terrestris were studied against six pathogens including Streptococcus Mutans, Actinomyces Viscosus, Streptococcus Sanguis, Enterococcus Faecalis, Escherichia Coli, and Staphylococcus Aureus. The antibacterial activities were examined using the well diffusion and disc methods. The minimum bactericidal concentration and minimum inhibitory concentration of the extracts were also determined against these organisms using broth and agar dilution methods. The results indicated that the Tribulus Terrestris extract could produce an effective antibacterial activity against these bacteria when used alone or in combination with Glycyrrhiza Glabra and Capsella bursa-pastoris. Tribulus Terrestris can be used for the treatment and prevention of coronary heart diseases. It can reduce the risk of these disorders and provide relief from their symptoms. How Does Tribulus Terrestris Work in Coronary Heart Disease? Tribulus Terrestris helps to prevent heart attacks by increasing the perfusion of the coronary arteries. It produces a vasodilatory action on the coronary arteries. This results in an improved coronary circulation and reduces the risk of myocardial infarction and angina. Additionally, it also possesses antioxidant properties, which protect the cardiac muscle against the damage caused by free radicals. It prevents the ischemic changes and reperfusion-induced damage in the heart muscles. It increases the activity of the free-radical scavenging superoxide dismutase (SOD) and protein kinase C (PKC) and prevents the degeneration of the cardiac cells due to hypoxia. Tribulus Terrestris can also be beneficial while recovering from a heart attack. It improves the ejection fraction and overall cardiac functions and regulates the left ventricular remodeling during the recovery period following myocardial infarction. The cardioprotective effects of Tribulus Terrestris have been proven during research. In the study, the participants with coronary heart disease (CHD) were treated with the saponins extracted from Tribulus Terrestris. Another study that investigated the protective effect of Tribulus Terrestris against cardiac ischemia or reperfusion injury has shown encouraging results. It was found that the administration of tribulosin, a monomer of saponins extracted from Tribulus Terrestris, could improve the cardiac perfusion and reduce the risk of ischemic disorders. The treatment with Tribulosin significantly reduced the MDA (malondialdehyde), AST (aspartate aminotransferase), LDH (lactate dehydrogenase) and CK (creatine kinase) contents. It also reduced the rate of myocardial apoptosis in a dose-dependent manner. My dad has kidney failure stage 4, congestive heart failure with ejection fraction at 30%, diabetes, dementia, anemia, has 2 pleural catheters one on each lung for fluid that builds up due to the CHF. Is it safe to take Tribulus Terrestris, Arjuna, and Chanca Piedra together? Yes, these herbs can be taken. However, you should also consult your healthcare provider.